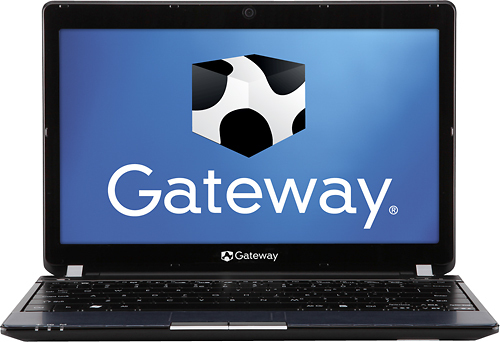 Gateway has started sales of a new laptop that comes with pretty good specs and features extremely low power consumption. The model is called Gateway EC19C09U and the magic is hidden in the processor that runs the machine – an Intel Core i5-470UM processor that features ultra low power consumption and a TDP of just 18W. The dual-core CPU runs merely at 1.33 GHz but is powerful enough for most tasks as its Turbo frequency grows to 1.86 GHz in case of need and is coupled with 3 MB of L3 cache as well as HyperThreading technology and built-in graphics. Other specs include 4 GB of DDR3 memory, a 500 GB hard drive spinning at 5400 rpm, 11.6-inch WXGA TFT LCD display with 1366×768 screen resolution and on-board Intel HD graphics with 128 MB of dedicated video memory. The new Gateway EC19C09U also comes with an integrated web camera, a multiformat media reader, three USB 2.0 ports, Wi-Fi 802.11b/g/n support, Ethernet LAN, a HDMI output, a touchpad and built-in speakers. Overall weight is about 3 pounds. The laptop is powered by a 6-cell lithium-ion battery that can be charged with the help of an AC adapter. Software provided is Windows 7 Home Premium x64 edition. Price is about 549.99 USD with the only con of the Gateway laptop being the lack of an optical drive which, if needed, can be added via the built-in USB ports. Dell and China Mobile Communications Corporation (CMCC) announced the sleek and stylish Inspiron™ Mini 10 netbook with CMCC’s built-in high speed 3G wireless.